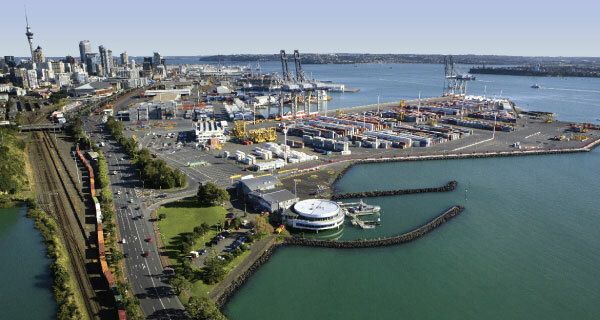 The Port of Auckland, New Zealand, is bringing marine transport directly to shipper doorsteps with the debut of its new Wiri-to-Waitemata seaport rail link. The intermodal shuttle connection helps exporters and importers drive efficiency and increase flexibility by enabling them to drop off and pick up containers without negotiating Auckland's motorways. Shippers can use the inland Wiri Freight Hub as a staging post, freeing up room at the seaport and maximizing rail transportation in between. Authorities expect the new link will save as many as 100,000 truck trips to the city per year when functioning at capacity. Given that many port customers are based within six miles of the inland hub, they anticipate the rail connection will reduce carbon emissions by up to 40 percent. DB Schenker recently procured a $500-million contract to provide worldwide and national transport for Australia's vast Gorgon gas project. The Kellogg Joint Venture, a consortium under contract to Chevron, Exxon/Mobil, and Shell, plans to start producing gas in 2014. As part of the four-year contract, the global freight forwarder will provide integrated logistics services to transport more than two million metric tons of equipment to module production plants in Asia or directly to a planned gas liquefaction plant on the northwest coast of Australia.